Hoo Junction is hardly the most photogenic location imaginable, but even at the end of the 1990s the area still witnessed a large number of interesting freight workings. 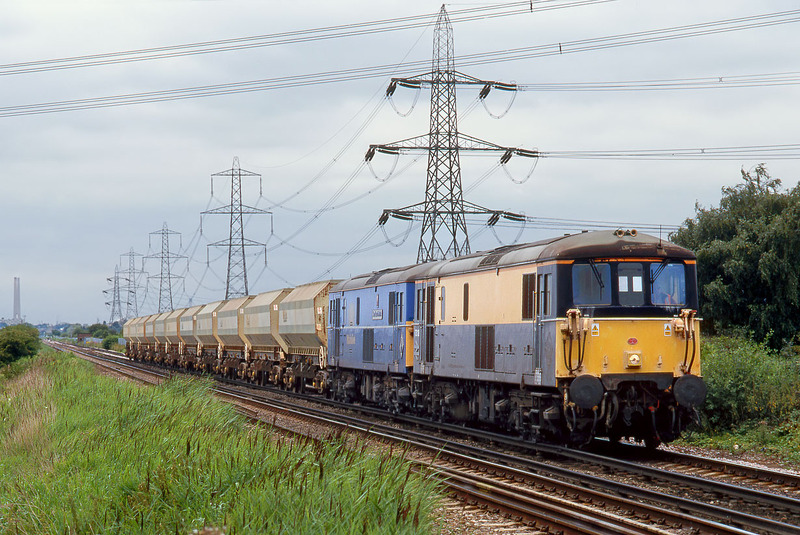 My main reason for visiting on 16 July 1999 was to see the 6Y94 09:36 Purley to Cliffe Brett stone empties. Although reasonably reliable, theoretically at the time it ran as required and with Class 66 haulage, so I was mightily relieved when bang on time 73138 & 73136 Kent Youth Music came into view.